Yesterday I was working on a Cricut Project for Easter – a very cute pillow that is embellished with felt bunnies. 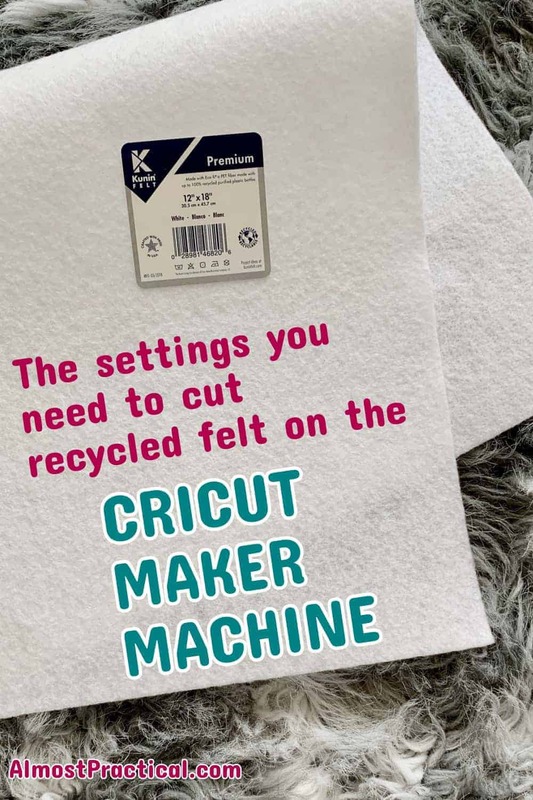 I will tell you all about it when it's done – but today I just wanted to tell you about a little piece of the project – the settings you need to cut recycled felt (the Eco-fi brand Kunin Felt in particular) on the Cricut Maker machine. You see, before this project – I had never cut felt (let alone Eco-fi felt) on the Cricut Maker. And let me tell you, my first pass didn't cut the felt at all. Luckily, I didn't ruin the material – because we all know that sinking feeling when the cut doesn't go right! Before I tell you about the settings that worked for me, let me tell you about this Eco-fi recycled felt. 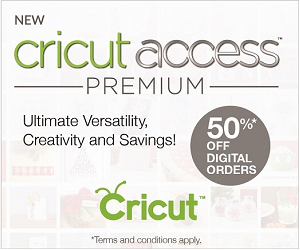 Is a Cricut Access Subscription Worth It? What is Eco-fi Recycled Felt? Eco-fi felt – particularly the Kunin Felt brand are sheets of stiff felt made in the USA from 100% recycled plastic bottles. Now, I am all about upcycling and recycling so I loved this idea – and the felt was a decent price, too. So, I bought this Eco-fi felt by Kunin Felt and decided to give it a try. 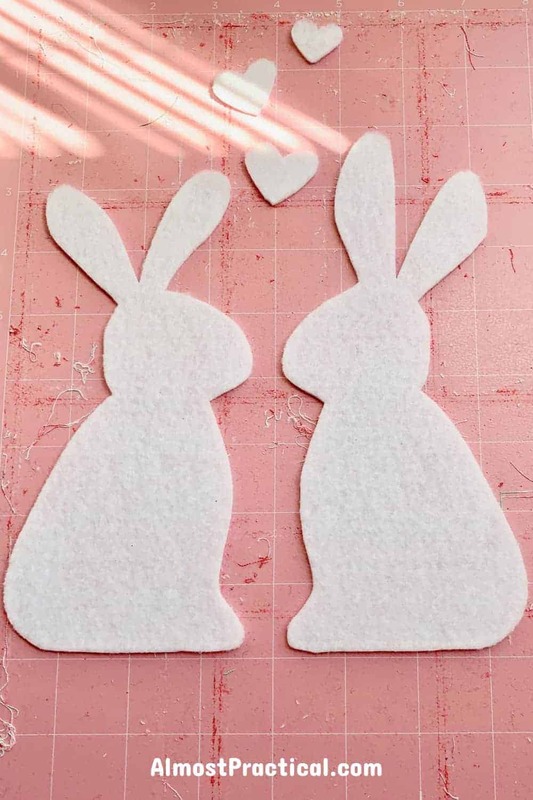 Originally I was looking to use a wool felt for this project – which is what Bev at Flamingo Toes (the designer of this project) used in her bunny pillow project post. When it came time in my project to cut the recycled felt on my Cricut Maker machine – I was a bit stumped. 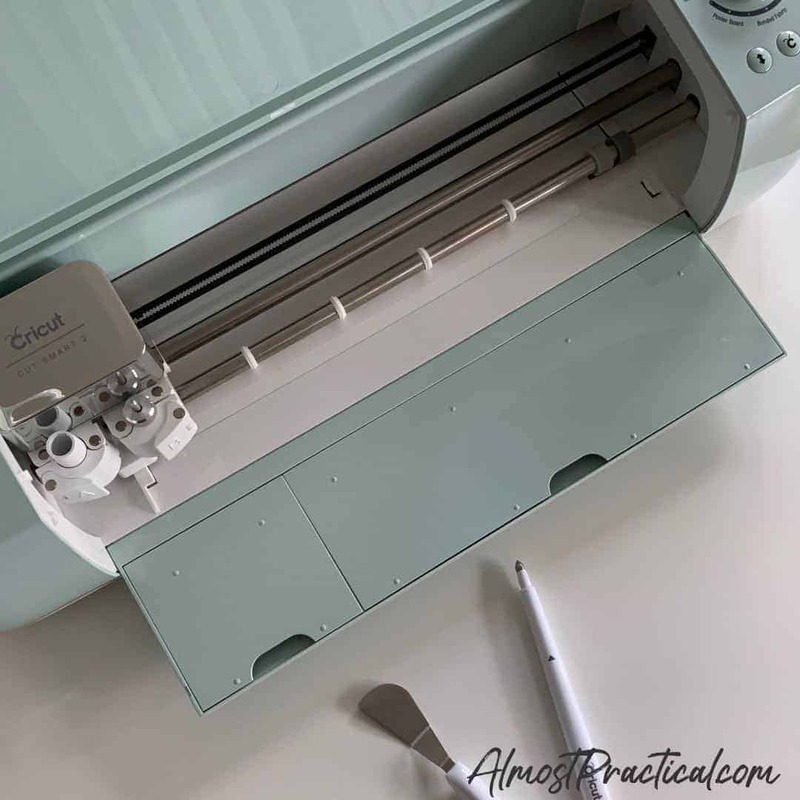 When you set up your cut in Cricut Design Space for the Maker, one of the steps is to choose your material. There is a selection of popular choices that comes up – but for this I chose “Custom”. When you do this, you can search for your fabric. I entered “felt” in the search box and up popped a list of different felts to choose from – but of course, there was no “recycled felt” or “Eco-fi” option. So – the first time around – I chose “Stiff felt”. This option requires you to use a fine point blade. Ok. I figured if that is what it says that is what I will do. Because the recycled felt is so thick, the fine point blade just scored the surface of the felt slightly. Since the first cut didn't go all the way through, I left my felt on the mat (I used a pink Cricut fabric mat for this) and tried a different set up. For my second try, I chose just plain “felt” as the material in Cricut Design Space. When you do this, it still comes up with the fine point blade BUT you get an option to edit your tools. So, I chose to edit my tools and manually selected the rotary blade. I also changed the pressure to “More”. Then I fed the same mat and piece of recycled felt back through the machine. This time, the recycled felt cut clean through and precise. I really like the recycled felt because it doesn't stick to the mat and fray like other felts can. I just want to clarify that I cut this recycled felt using a Cricut Maker Machine, NOT a Cricut Explore Air 2. I haven't tried using the Explore Air 2 so not sure how to make it work on that machine. The takeaway here is that if you are trying to cut recycled felt on the Cricut Maker machine with no luck, try using the rotary blade and more pressure.